Byredo Parfums fragrance and perfume list. Take note: When someone insists that a perfume has universal appeal, they are selling you a line. And probably a perfume. The truth is our scent preferences are too emotionally charged and deeply rooted to win favor across the board. When we interviewed fashion and beauty experts from around the world, we discovered that fragrance is pretty heady stuff, with potent connections to spirituality, geography, and history. 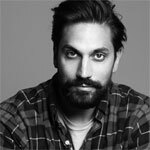 "India has some of the most beautiful and alarming smells," says Byredo perfumer Ben Gorham of his mother's native country. One of his standout (and Best of Beauty-winning) fragrances was inspired by his cousin's traditional Indian wedding. "The vision of the bride's head completely covered in flowers inspired me to create a floral scent," he says. "I had always stayed away from florals because I felt they may be preceived as too traditional." The resulting fragrance, Flowerhead, is anything but. A fantasy of rose, jasmine, amber, and splashy lemon, it's a perfect marriage of brightness and intensity. Suit up with MC Creative Director Nina Garcia, who picks the Army-inspired pieces worthy of your full attention.